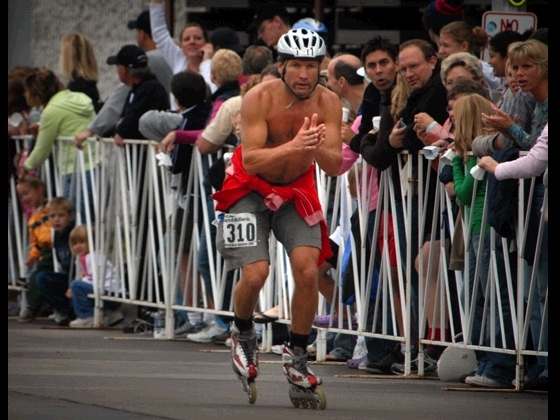 Still Rollin' - Rollerblade founder Scott Olson, 47, crosses the finish line in Duluth. Olson was a hockey player fresh out of high school when he founded the company that became Rollerblade. He was ousted from the company a few years later, and today, is an entrepreneur. Among his inventions: the Rowbike. • Go to Planet story: Creveling, Rookard Win Rainy Northshore.